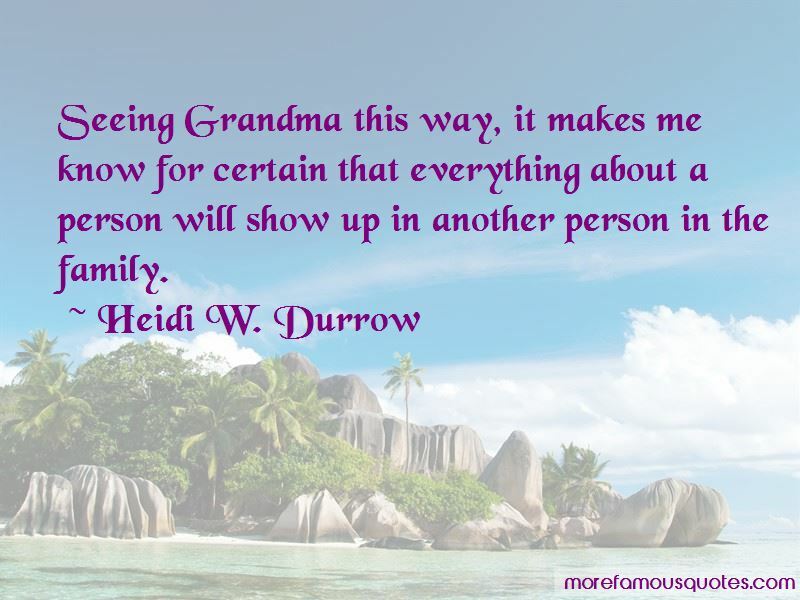 Enjoy the top 19 famous quotes, sayings and quotations by Heidi W. Durrow. I think of how Grandma makes fun of love. And maybe that's the key. I think what a family is shouldn't be so hard to see. It should be the one thing people know just by looking at you. A ghetto has tall buildings and empty lots, trash all over the street and city noise. Here the houses are two stories; the houses have trees in front and everyone has a yard. I always told Tracy she was wrong, but now I think Tracy was right. The ghetto looks different in different places, but if you live there, it makes you feel the same. When the song is over, she bows and I clap. I wonder how come she seems so brave. There is no part of her she hides. 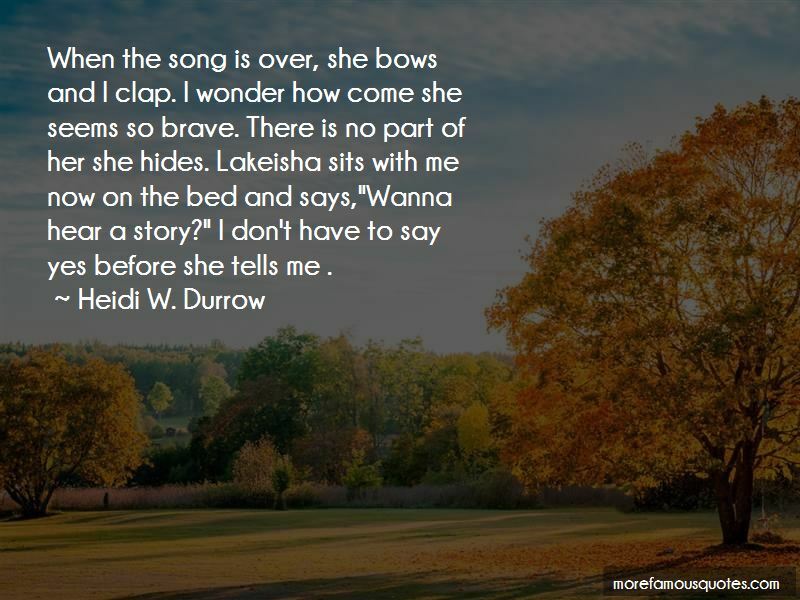 Lakeisha sits with me now on the bed and says,"Wanna hear a story?" I don't have to say yes before she tells me . These white girls think all they need is love. 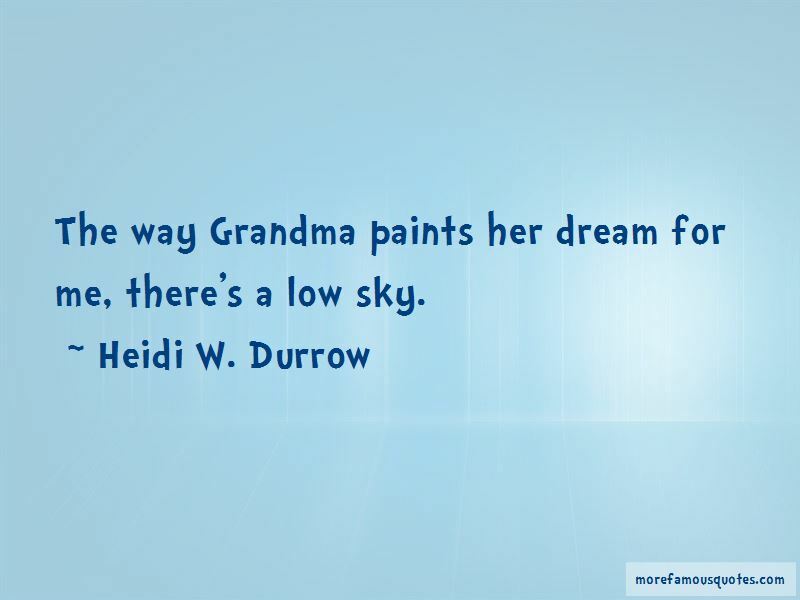 Want to see more pictures of Heidi W. Durrow quotes? Click on image of Heidi W. Durrow quotes to view full size.